The presidential election holds on Saturday. 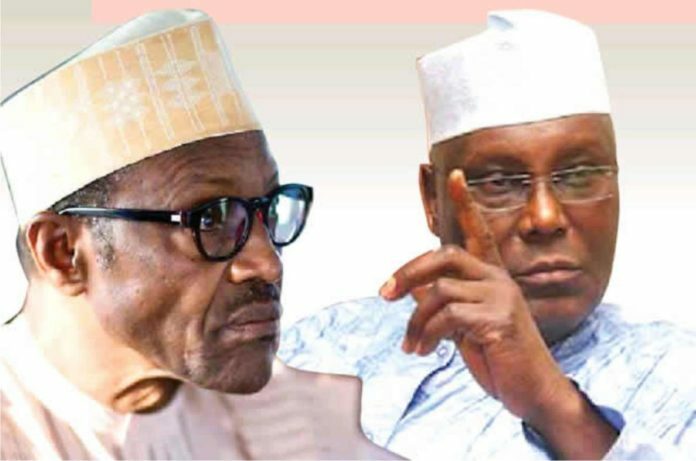 Although over 60 parties are participating in the poll, from all indications, it is a two-horse race between President Muhammadu Buhari of the All Progressives Congress (APC) and former Vice President Abubakar Atiku of the Peoples Democratic Party (PDP). Here is an updated analysis of how the states may vote. Until Buhari and the APC pulled a fast one, the state was almost lost to the PDP going by massive defections from the ruling party to the opposition. Among those who left was the Speaker of the House of Representatives, Yakubu Dogara. Armed with an impressive war-chest, a former Minister of the Federal Capital Territory, Senator Bala Mohammed, also revved up the PDP in the state with the choice of Baba Tella (a grassroots politician) as his running mate for the governorship race. The ex-minister, who is from Bauchi South Senatorial District like the governor might split the votes from the zone.Other factors in favour of the Bauchi PDP are Dogara (who commands the strong following among Christians and minorities in the state) and a former Majority Leader in the House of Representatives, Abdul Ningi. However, in recent weeks, Buhari and APC have embarked on a salvage mission which is paying off for the party. Apart from wooing ex-Governor Isa Yuguda to the ruling party, the President has also courted a former National Chairman of PDP, Adamu Mu’azu, the immediate past Deputy National Chairman (North) of PDP, Sen. Garba Babayo Gamawa and a Board of Trustees member, Alhaji Kaulaha Aliyu. The major heavyweights in Bauchi politics are back in APC to give more bite to the campaign of the party. In spite of the insurgency, Borno is still a stronghold of the APC and Buhari. The people of the state have undiluted loyalty to the president and his commitment to the war against Boko Haram has strengthened their political bond with him. The humble and unifying disposition of Governor Kashim Shettima in governing the state have also left APC more united for a straightforward victory at the polls. Initially, there were fears that the imposition of a former Commissioner for Reconstruction, Rehabilitation and Resettlement, Prof. Babagana Zulum as the APC governorship candidatemight create crisis, but the governor managed the stakeholders with maturity.The return of a former National Chairman of PDP, Senator Ali Modu Sheriff to APC, which he assisted to form, has been a game-changer which has left PDP in quandary. The seemingly intractable crisis in opposition party in the state has affected its fortunes. Since the ill-fated governorship primaries of the party, it has broken into two factions led by Alhaji Usman Baderi and Alhaji Zanna Gadama respectively. The PDP is not only in bad shape to promote its governorship candidate, Mohammed Alkali Imam, it is yet to win the confidence of the masses of the war-torn state. The defection of the highly-respected ex-Governor of old Borno State, Alhaji Mohammed Goni (1979-1983) from PDP to APC has made the victory of APC a fait accompli.There are 2,315,956 votes available in the state and APC may win with a landslide. A politically homogenous enclave, Yobe State has been traditionally progressive since 1999. It has always voted against PDP despite its political transformation from All Peoples Party (APP) to All Nigeria Peoples Party (ANPP) and APC. The smooth transition of power laid down by the first civilian governor of the state, Senator Bukar Abba Ibrahim has helped in consolidating its progressive credentials. The Kanuri-Fulani collaboration has made the state impregnable for the opposition. But the Kanuri have been governing the state since its creation.Although the PDP is rebranding itself with the emergence of Ambassador Umar Iliya Damagum as its consensus gubernatorial candidate, the party is still weak. Its weakness was fueled by the crisis of confidence between ex-Minister of Police Affairs, Adamu Maina Waziri, who has been the sole gubernatorial flagbearer of the party since1999, and the current Senator representing Yobe South Senatorial Zone, Mohammed Hassan. They both emerged from parallel primaries.In 2015, APC received 446,265 votes as opposed to just 25,256 for the PDP. This pattern is set to repeated as Buhari’s appeal remains strong here. This is one Northeastern state where analysts expect PDP to do well. Governor Darius Ishaku is still popular and former Minister of Defence, Lt. General Theophilus Danjuma who is the governor’s political godfather, remains highly influential. He has not hidden his opposition to a second term bid by Buhari.The security problems which the state underwent in the last three years with ethnic undertone have not helped electoral chances of the APC. The defection of ex-Minister of Women Affairs, Aishatu Jummai Alhassan from APC to United Democratic Party (UDP) has made the latter to lose its soul. The internal wrangling within APC has not put it ingood stead for next month’s election. Still, the massive turnout for last Thursday’s APC presidential rally in Jalingo, the state capital, has become a talking point. While the PDP is still expected to prevail here, the ruling party would give it a close fight. In 2015, the difference between the parties was roughly 50,000 votes. PDP raked in 310,800, while APC managed 261, 326 votes. A re -enactment is likely. Initially, it was thought that the contest between APC and PDP in Gombe State would be a keen one. The outgoing Governor Ibrahim Dankwambo is trying to assert himself as the new kingmaker. The party on October 3 lost Sardauna Gombe, Alhaji Jamilu Isiyaku Gwamna who defected from PDP to APC. Gwamna’s parting of ways with PDP has made the race keener.For the presidential poll, ethnic fault lines will be sole determinants. The ethnic groups in the state are Fulani (Northern part); Tangale (Southern part); Hausa, Tera, Waja, Bolewa, and Kanuri. Both Buhari and Atiku are of Fulani stock. However, Buhari’s mesmerising connection with the masses of the people would see him win the state handily again. In 2015, APC polled 361,245 votes as against 96,873 for PDP. Watchers of politics in the state expect a similar thing on Saturday. Adamawa has been a PDP State since 1999 until the APC’s 2015 bandwagon altered its political focus. The next poll in the state will draw more attention than elsewhere because the PDP presidential candidate, Atiku Abubakar is from there; Buhari married from the state to make the First Lady, Hajiya Aisha Buhari, equally a factor in the presidential race. The likely factors in the state are religion, ethnicity, security challenges, the political elite, money, and good governance. If performance is anything to reckon with, Governor Jibrilla Umaru Bindow’s achievements will make it an easy ride for APC. Although Atiku attempted to install a governorship candidate in 2015 under the banner of APC, he failed in his bid because Bindow defeated his preferred candidate twice at the primaries. Expect a major electoral battle here. Adamawa may be too close to call. In 2015, President Buhari, the presidential candidate of the All Progressives Congress (APC) won the presidential election in Kwara State, polling 302,146 votes, while the then incumbent President Goodluck Jonathan of the PDP polled 132, 602 votes. 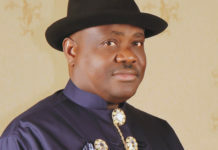 It was the first time the state voted against the presidential candidate of the PDP since 2003 , and the party lost to APC with almost 200, 000 votes. Today, the state is a major focus point following the return of Senate President Bukola Saraki to the PDP. It is also attracting attention because the threat to the status quo in Kwara politics, as symbolized by Saraki dynasty, is real today more than ever before. The rate at which the APC’s ‘O To Ge’ (Yoruba for Enough is Enough) mantra caught fire like dry leaves in the harmattan, is reportedly a source of worry for the Senate President and his political family. The emergence of the APC’s candidate, Abdulrahman Abdulrazaq, from a noble family like the Sarakis has changed the usual scenario where Saraki would confidently boast of the support of the royals and elites in the state. Today, the creme de la creme in Ilorin are sharply divided in their support for APC and PDP ahead of the general election on account of Abdulrazaq’s candidature. The exodus of his loyalists and strategists to APC; the “O To Ge” (Enough is Enough) revolution; and the imposition of PDP governorship candidate, Razaq Atunwa, on the party. Against this backdrop, the relative strengths of the APC and PDP in the different senatorial districts is likely to impact the outcome of the February 16 contest. As things stand the race between Atiku and Buhari in Kwara is too close to call. It came to many as a surprise in 2015, when INEC declared Buhari of the APC as the winner of the presidential election conducted in the state. In an unexpected victory, he won by 60.3 % of the total votes. It was unexpected largely because Kogi at the time was governed by a PDP administration that appeared ready to be re-elected. But as the February 16 date of the next presidential contest draws nearer, it is uncertain if the APC under Governor Yahaya Bello can repeat the winning streak of the last general election in the state. Surprisingly, the PDP in the state appears to have woken up from its slumber, ready to chase Buhari’s men out of town if they are not careful. At the onset of the 2015 presidential election, Benue State was one of the few remaining states through which the then President Jonathan and the PDP were hoping to defeat the APC and its presidential candidate, Buhari. Most pundits gave the state to PDP. Surprisingly, and unfortunately for the PDP, the people of the state opted to follow the APC. Today, the two frontline political parties have huge tasks on their hands in their bid to take their campaign to the nooks and crannies of 23 local government areas in the state. 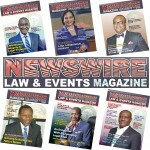 The politics has largely been personality-based, but has also been coloured by economics, ethnicity and religion in the light of the herdsmen killings witnessed in the last two to three years. The scenario in the state is being monitored because the three senators from the state, who are leaders with massive support in the grassroots, are treading different political paths. Few days to the next presidential election, the political climate in Plateau State is as uncertain as it was in 2015, but Governor Simon Lalong’s leadership qualities have reunited and restored peace to the state. The main issue in Plateau for February poll is how to curtail the security challenge in the state. The people of the state are divided in their opinion as regard how well the APC administration has handled the menace of killer herdsmen across the country. Another issue playing a key role is religion which ex-Governor Jonah Jang has exploited in the past to sustain PDP. Being a Christian-dominated state, Buhari’s candidacy is seen from the prism of Hausa-Fulani /Muslim sentiments. But that approach may no longer work for the PDP as neither Buhari nor Atiku is a Christian this time around. To most observers, the presidential race might be neck and neck with PDP having a little edge. In spite of the fact that Governor Abubakar Sani Bello has a lot of political baggage that could make him lose his re-election bid, the goodwill of Buhari is his asset. The president is still adored in the state more than his PDP challenger, Atiku. Despite the well-advertised opposition of Gen. Ibrahim Babangida to Buhari’s re-election bid, the incumbent’s lopsided win in 2015 is expected to be repeated come February 16. Four years ago, he received 657,678 votes – dwarfing the PDP’s 149,222 votes. Our investigations show that the president’s popularity is still holding steady. During the 2015 presidential election, the then President Jonathan of the PDP, surprisingly won the presidential election in Nasarawa State, defeating main challenger Buhari of the APC. It was a surprise because the state has always been a stronghold of Buhari’s even when he had no formidable political platform to contest on. Not even the widespread opinion that Governor Tanko Al-Makura has done well in office had changed that status quo. Al-Makura’s decision to stamp his feet and allow power to shift from Nasarawa South District to Nasarawa North District for fairness and equity has deflated the anticipated winning formula of the opposition. This has in turn shored up the popularity of the ruling party in the north where the PDP held sway before now. This is expected to impact in favor of President Buhari in the presidential election. The harmony within the rank and file of APC in the state notwithstanding, it is still uncertain if Buhari can floor Atiku in the state. 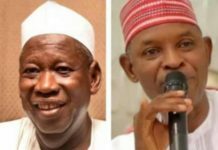 The PDP has employed all sorts of political gimmicks but it suffered a big setback in the way it conducted the governorship primaries that led to the coronation of Alhaji Abba Kabiru Yusuf, a son-in-law to ex-Governor Rabiu Kwankwaso. Following the loss of the APC presidential ticket by Kwankwaso, he left the party with his disenchanted supporters. But that triggered a counter reaction: the mass movement of ex-Governor Ibrahim Shekarau and his supporters from PDP to APC. It was the last straw that broke the carmel’s back. Others who have deserted PDP are Prof. Hafiz Abubakar, a former Deputy Governor to Governor Abdullahi Ganduje, a former Managing Director of the Nigerian Ports Authority, Aminu Dabo; the immediate past National Treasurer of PDP, Bala Mohammed Gwagwarwa; Security Adviser to Kwankwaso, Gen. Danjuma Dambazzau (rtd); Sen. Isa Zarewa; and Mu’azu Magaji Dan Sarauniya, who was a former Senior Special Assistant to ex-President Goodluck Jonathan on SURE-P. But in an embarrassing turn of events, almost all of aforementioned who initially left APC with Kwakwaso, have since beat a retreat to the ruling party. No doubt, APC has a robust edge over PDP in Kano because of Buhari’s factor, the influx of new influential defectors, and the incumbency influence of Governor Ganduje who is more popular among the masses and Islamic clerics. Since 2003, Buhari has never lost in Kano State and this year’s poll will not be an exception. What remains to be seen if he can once again receive the 1,903,999 votes he got in 2015. PDP only managed 215,779 votes in that contest. Kwankwaso is now on the opposing side but he will be fighting against the combined forces of Buhari, Ganduje, Shekarau and his erstwhile lieutenants. It is not looking good for the PDP and Atiku. The irreconcilable intra-party crisis in the APC in Zamfara State almost left PDP waiting to be crowned as the next ruling party until the Appeal court gave APC a lifeline yesterday by recognising its primary election earlier nullified by the High Court. Governor Abdulaziz Yari and all the APC stakeholders threw decorum to the wind and the center did not hold again. Not even the intimidating presence of two ex-governors (Sen. Ahmed Sani Yerima and Mahmuda Aliyu Shinkafi) and the Minister of Defence, Gen. Mansur Dan Ali could help find a solution to the division. Four years ago Buhari received 612,202 votes to 144,833 for the PDP’s Jonathan. There are no old politicians in Kaduna State who are with him. Members of the old brigade who were with him in 2015 like Suleiman Hunkuyi, Isa Ashiru, Yaro Makama, and Ambassador Sule Buba are now in PDP against him. These old hands have teamed up with ex-Vice President Namadi Sambo, a former National Chairman of PDP, Senator Ahmed Makarfi, and ex-Governor Ramalan Yero. But, Buhari is likely to retain his grip on the state albeit with a lesser margin in February. Despite the formidable nature of PDP in Katsina State, APC would still emerge victorious because of the Buhari factor. The people of the state want power to continue to reside in their domain for the next four years. The party boasts of a majority in the House of Assembly, it also controls all available seats in the National Assembly. Of recent, the APC won by-elections conducted in the state. Although ex-Governor Ibrahim Shema and the PDP governorship candidate, Garba Yakubu Lado, are pulling some strings, they are unlikely to erode Buhari’s grip on his home territory. Four years ago, he polled 1,345,441 votes here to PDP’s paltry 98,937. The landslide victory of 2015 is likely to be repeated on February 16. The sterling performance of Governor Abubakar Atiku Bagudu of Kebbi State in the last three and a half years has surpassed all permutations. He has brought his experience in the private sector to bear in managing the economy of the state. His focus on agriculture has led to massive employment and a rice boom. His ability to bring more supporters into APC, especially ex-Governor Saidu Dakingari and his deputy, Ibrahim Aliyu has sealed whatever hope was left for PDP. Buhari won handsomely here in 2015, receiving 567,883 votes to the PDP’s 100,972 votes. He remains hugely popular in the state and is expected to win comfortably. The battle in Sokoto State is between Governor Aminu Waziri Tambuwal and his estranged godfather, ex-Governor Aliyu Wammako – with each of them having stakeholders in the state split between them. The APC had an impressive campaign outing in the state recently and look set to repeat the comfortable victory of 2015. Back then, Buhari received 671, 926 votes compared to 152,199 votes for PDP. Nothing on the ground suggests that this pattern would change dramatically. What is at stake in Jigawa State is a struggle for the soul of the state between ex- Governor Sule Lamido and Governor Abubakar Badaru whose rice production revolution has empowered many citizens. His problems are the alienated political elite and some royal fathers who are not enjoying as much largesse as they used to do in the past. Both APC and PDP attracted massive crowds when their presidential campaigns stopped over in the state capital, Dutse. However, for Atiku to win here, he would have to cover the margin of over 600,000 votes by which Buhari defeated Jonathan in 2015. Back then APC polled 885,988 votes to the PDP’s 142,904 votes. That seems, at this point, an insurmountable objective. The presidential contest in Ogun state is already showing flashes of being an unusual one, but the result is most likely to be same as it was in 2015 when the APC defeated PDP by a hundred thousand votes. Buhari polled 308, 290 votes while former President Goodluck Jonathan of the PDP took 207, 950 out of 559, 613 total votes cast. According to formal results announced, Buhari won in 13 local governments while PDP won in 7 local government areas. Save for a few changes expected to happen here and there, the outcome of the next presidential election in Ogun State may still remain close to what obtained in 2015. In spite of the support currently being enjoyed by Atiku and the PDP from former President Olusegun Obasanjo, Buhari will still win the presidential election in Egbaland convincingly. With the APC and APM in the state working towards the victory of President Buhari, and the two factions of the PDP unable to come together and galvanize their members towards the presidential election, the APC is looking good to win the presidential election in the state even with a wider margin that it posted in 2015. Not minding the threat to “take over Lagos” by the opposition PDP, it is convenient to predict that APC will win convincingly in Lagos State at the presidential poll. Pundits are even of the opinion that the opposition PDP will perform poorer than it did in 2015 when it gave the ruling APC a good fight in all the elections. APC scored 792, 460 to defeat the PDP which had 632, 327 in the presidential race back then. Although the PDP governorship candidate is working had to garner the votes for Atiku, the personality of Asiwaju Bola Tinubu, national leader of the APC, and the recent restructuring carried out within the party, will do the trick once again and Buhari will win more votes in Lagos. Also, unlike in 2015 when some fallouts of its party primaries caused serious frictions within its ranks, the APC is today more united that it was four years ago. Also working against the PDP in Lagos State is the loss of majority of its prominent leaders to the APC. Chieftains like Chief Mrs. Remi Adiukwu, Senator Musiliu Obanikoro, and its then state chairman, Moshood Salvador, are now in the APC ready to work for Buhari’s re-election. Even Chief Bode George, though still in the PDP and openly supporting Atiku, is on a self-imposed political holiday, leaving the party without a known leader in the state. APC won the presidential election in Oyo during the last presidential poll. APC scored 528, 620 while PDP got 303, 376. The state used to be the stronghold of the opposition PDP until recently. But today, majority of those chieftains who made the party tick in the state have jumped ship or gone into political oblivion, leaving the party in limbo. The likes of former governors Rashidi Ladoja and Adebayo Alao-Akala are no longer with the party. While Ladoja now leads the Zenith Labour Party (ZLP) in the state, Alao-Akala is the gubernatorial candidate of the Action Democratic Party (ADP). Both leaders have also lost some of their chieftains to the ruling APC in recent times, especially Alao-Akala, who joined the APC briefly after dumping the PDP. Other erstwhile PDP top guns like former Senate Leader, Senator Teslim Folarin and former Secretary to the State Government, Chief Ayodele Adigun are now in the APC working for the success of its presidential candidate. Observers of the politics of the state say PDP in Oyo State is today a ghost of its glorious past and cannot put up any serious challenge to the victory of President Buhari on Saturday. In spite of the state not being under the control of the party, the then presidential candidate of the APC, Buhari was declared winner of the presidential election in Ondo State. He polled 299, 889 votes to beat former President Jonathan of the PDP, who got 251, 368 votes, according to results declared by INEC. The result came as a surprise to many pundits who had thought the PDP would ride on the popularity of the then governor, Dr. Olusegun Mimiko, to clinch victory. The state is still firmly in the political grip of the ruling party under Governor Rotimi Akeredolu. Political observers say the PDP which used to control the state until 2012, is struggling to stay alive even in Akure, the capital. After giving the impression that it was ready to take over the political leadership of Osun State during the last governorship election in the Southwest state, the opposition PDP appears to be fading away from the political firmament of the state so soon. The party in Osun shocked many people when it almost snatched the governorship seat of the state from the ruling APC last year in a keenly contested election. The APC appears to be repositioning itself for new electoral challenges ahead. Governor Oyetola, who took over from Rauf Aregbesola has embarked on a number of fence-mending missions that analysts say are yielding fruits. In 2015, PDP won the presidential election in Ekiti State. Today, the scenario is totally different. Kayode Fayemi of the APC is governor and the federal government is also under Buhari’s APC. The PDP in the state is now divided into two groups led by ex-Governor Ayo Fayose and Senate Minority Leader Abiodun Olujimi. As it stands, the APC appears to have the advantage. 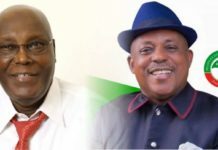 Although Anambra State is currently governed by an All Progressives Grand Alliance (APGA) government, a political party whose leader, Governor Willie Obiano currently supports APC presidential candidate, Buhari, we can report that the PDP candidate, Alhaji Atiku Abubakar, is better positioned to win in the state during this week’s presidential election. Since the death of APGA’s former Presidential candidate, Dim Chukwuemeka Odumegwu Ojukwu, in 2011, the party had been aligning with the then ruling PDP in most of the presidential elections. So, though APGA has continuously governed the state, it has somehow remained largely a PDP state. PDP evidently has a boost because the former governor of the state, Peter Obi, is its vice presidential candidate. It is a fact that in Anambra, Obi is well loved and has incredible grassroots support. This, added to the sentiment that ‘PDP has fielded our own son’ will go a long way in securing a chunk votes for PDP’s Atiku. A major snag for PDP in the state, however, is that Governor Obiano, the estranged former political godson of Obi, is backing APC’s Buhari, a move his critics say is primarily to slight Obi. He is closely supported in this assignment by the senator representing Anambra Central Senatorial District, Senator Victor Umeh, also a former political ally of Obi. The governor and the former National Chairman of APGA are some of the forces that will battle Obi and PDP in this coming presidential election. How far they would go remains to be seen. It is, however, believed that with APGA’s alliance in Anambra State, APC chieftains like Senator Chris Ngige, the Minister of Labour and Employment will be further empowered to win more votes for APC and Buhari in this week’s presidential election. Besides the sentiment that “Obi is our son,” sources confirmed that the former governor enjoys much support from the people because of his achievements when he was governor. He is also known to be highly loved and supported by the Catholic and even Anglican faithful because of his unrivalled personal investment in the church while he was in power and ever since then. Besides the Church, Obi, according to sources, will garner massive votes from youths, most of who benefitted immensely from his support during his tenure as governor, when they were still in secondary schools or in the universities. Given these realities, it seems difficult to imagine that the Atiku/Obi ticket can lose in Anambra State, where Obi hails from, Obiano’s factor notwithstanding. In Enugu State, Atiku is poised to win in this week’s presidential election, notwithstanding the recent progress made by the APC in the PDP stronghold. Since the return of democracy in 1999, Enugu has remained a PDP state. In 2015, for example, PDP garnered 553,003 out of the total 573,173 viable votes cast in that year’s presidential election, leaving the other 13 political parties that contested that election to share the remaining 20,170 votes. The PDP, which has power of incumbency and age-long loyalty, has greater chances of winning in the state, not only because of the internal dynamics that still favours it but also because PDP’s Vice Presidential candidate, Peter Obi, from the neighbouring Anambra State, also enjoys wide acceptability in the state. Abia State has been another PDP stronghold since 1999. But as we reported earlier, reports of under-performance or near total lack of dividends of democracy there have resulted to outcry from across the state for far reaching change. This feeling will ultimately affect the result of the forthcoming presidential election in the state. We gathered that most stakeholders are furious to note that Abia, though an oil-producing state, is today one of the least developed in the country, physical infrastructure wise, a development that has resulted in aggressive agitation for change of leadership. How that change will affect the result of this week’s presidential elections, promises to be intriguing. Imo is the only Southeast state currently under the leadership of an All Progressives Congress-led government. But following the intricate power struggle amongst its leaders, there is the fear that APC may not take it for granted that it would win the presidential race in the state. Unlike in Abia, where some analysts believe APGA may be persuaded to support either APC or PDP candidate, the political rivalries in Imo may make such a possibility more difficult. As at today, it is not yet certain which of the two leading presidential candidates Senator Ifeanyi Araraume, the APGA governorship candidate and his supporters will support. So, the two candidates, Buhari and Atiku may have to rely on the strength of their political parties and their individual popularities for victory. This time, APC and PDP will have to fight hard to win the presidential election, but latest intrigues and inability of APC current leaders in the state to reconcile with Governor Okorocha, may neutralize incumbency factor, which would have worked in its favour. .
Ebonyi State has remained a PDP state since 1999 and there is no definitive factor that suggests there would be a change in this year’s presidential election. Of the 363,888 valid votes cast in the state in 2015, PDP, in collaboration with APGA, harvested a whopping 323,653 votes, leaving only 19,518 for APC, which came second. 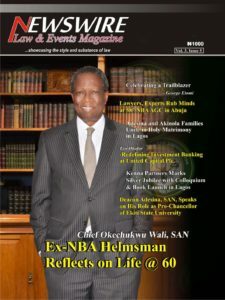 Observers said since Dave Umahi, the governorship candidate of PDP, cannot openly work against his party during the presidential election; his personal reverence for Buhari may not translate into significant votes. Since 1999, Bayelsa has remained a PDP state. It produced the last president, Dr. Goodluck Jonathan and still boasts of PDP faithful at the grassroots. However, so much has happened in the state politically since then. For example, the competition during the January 9, 2016 governorship bye election, which followed the inconclusive substantive election held on December 5, 2015, confirmed the growing influence of APC in the state. At the end of the hot contest however, the incumbent governor and the candidate of PDP, Seriake Dickson, emerged the winner. Dickson polled 134,998 votes to defeat Timipre Sylva, the candidate of the All Progressives Congress who scored 86,852 votes. Also, the ruling PDP has been battling with some internal disagreements that have threatened its fortunes in this week’s presidential election. One of the issues that threatened the unity of the party in the state was the automatic return ticket ripples. Late last year for example, some concerned stakeholders of the party in the state had to call on the National Chairman of the party, Uche Secondus, to intervene in the internal crisis rocking the party to protect its chances in the 2019 elections. One of the groups, Bayelsa State PDP Stakeholders Forum (BSPSF), particularly made the appeal in a statement signed by its Chairman, Chief George Amaibi, in Yenagoa. This week, PDP’s candidate, Atiku, will depend on the leadership of Governor Dickson, and former President Goodluck Jonathan whose influence still looms high in this region. The APC candidate, President Buhari, will depend on the diligence of the leader of the party in the state and former governor, Chief Timipre Sylva, and of course on the Minister of State for Agriculture and Rural Development, Senator Heineken Lokpobiri. In this week’s presidential election, Rivers is one of the states observers will take special interest in. This is because of the complexities that now define the politics of the oil-rich South-south state. Because Amaechi, the current Minister of Transportation, is also the Director-General of Muhammadu Buhari’s Presidential Re-election Campaign, the expectation is high that he ought to ensure APC’s victory in the state during the presidential election. Both because of the high offices he currently occupies and the fact that it has become a personal battle between him and his former ally, it is certain that Amaechi will put in all he has to deliver Rivers to Buhari.The same pressure is on Wike to deliver Rivers to PDP. As it stands however, PDP still remains set to claim the state once again. of the 1,565,461 valid votes cast in the state in 2015 Presidential election, PDP garnered 1,487,075 votes while APC got 69,238 votes to come second. 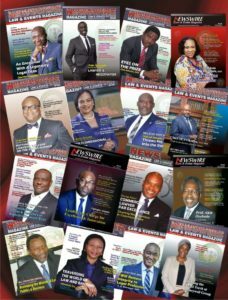 It remains to be seen if the figures can change significantly in the coming election even as Amaechi and Wike continue their ongoing epic political rivalry. Of the 1,267,773 valid votes cast in the state during the 2015 presidential election, PDP got 1,211,405 votes, while APC got 48,910 votes. Looking at this figure, one would ordinarily write off any party contesting with the ruling party, PDP, in Delta. But informed observers wonder if such gains are enough to defeat PDP leadership in the state and win votes for Buhari? In all, PDP, which enjoys incumbency advantage, is still popular enough to win the presidential election in the state. President Muhammadu Buhari will easily garner the majority of votes in Edo state given the popularity of his party, the ruling All Progressives Congress across the state. The APC’s political hold on the state, from the days of former Governor Adams Oshiomhole, who is now its National Chairman, supported by the rave reviews currently being enjoyed by Governor Godwin Obaseki, should work in the party’s favour. In the opinion of political pundits, Akwa Ibom State, the nation’s biggest oil producer, has made a right about turn politically, moving away from the PDP, which has ruled the state since 1999, to become an unmistakable APC enclave. A number of factors are responsible for the shift in political colouration in the oil-rich state. Gale of Defections: In the last three and half years, the ruling PDP in the state has suffered unrelenting gale of defections. The state started out in 2015 with three PDP senators; now it has one, two of them having defected to the APC in the last one and a half years, the last senator to defect being Godswill Akpabio, former governor of the state and former Minority Leader in the Senate. Many house members, political leaders and ordinary rank and file members of the party have moved over to the APC. Last week, the entire serving local council members in Essien Udim Local Government Area decamped to the APC. Essien Udim is the home council area of Senator Akpabio. The stage is thus set for a keen contest, a local derby of sorts, in the district. Pundits see a 50-50 split for the two parties in the district. In Cross River State, the PDP still looks good to repeat its 2015 landslide victory in the state in spite of some improvement in the visibility of the opposition APC after the last general election. Governor Ben Ayade and his predecessor, Liyel Imoke, appear to still have their firm grips on the politics of the state. The harmonious relationship between the duo, in spite of insinuations that they have fallen apart, helped the ruling PDP to wax stronger after the last election. Across the state, the governor is also adjudged as having done well. So, PDP looks good to get the votes to prevail on February 16.